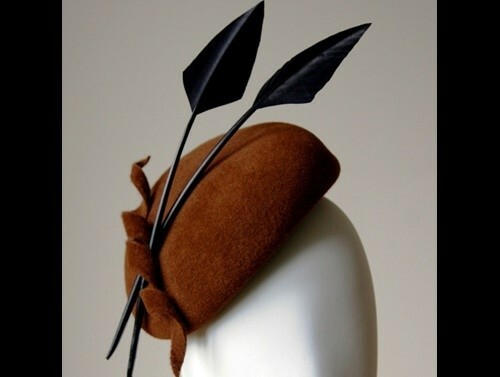 Super elegant luxury velour felt dark grey beret with single felt spiral and black feather arrow trims, lined in black silk, secured with hat elastic and comb. 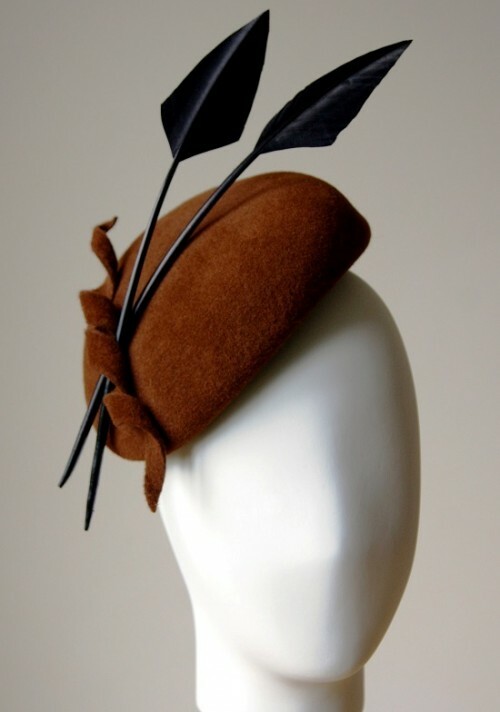 Perfect for a smart formal occasion or chilly winter/spring race day. Please note, this piece will be made to order and as such will take 3-4 weeks to deliver to UK customers (longer for international delivery). It is also available in other colours - for more details please contact us.